Gary Neville believes Nemanja Matic will prove to be a shrewd addition for Manchester United, but considers Chelsea’s decision to sell to be “strange”. The Serbia international has completed a £40 million transfer to Old Trafford, with a big-money deal reuniting him with Jose Mourinho. Matic was brought back to England by the Portuguese coach in January 2014, winning the Premier League title in his debut campaign before repeating that feat under Antonio Conte last season. 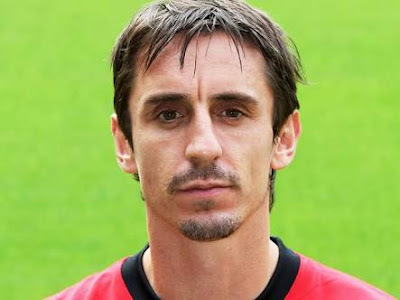 Neville believes that Chelsea may live to regret their decision to part with a proven performer, but acknowledges that their loss is United’s gain in a key area of the field. The former Red Devils defender told Sky Sports: “Michael Carrick’s obviously got one more year but he can’t play every single week so they’ve got to have that player come in and do the same job. “I believe Nemanja Matic can do that. “United need a holding midfield player. [Morgan] Schneiderlin was let go earlier this year, [Bastian] Schweinsteiger didn’t get a game. “There needed to be a replacement in there and ultimately I think Matic will fit the bill. “It’s a strange one for Chelsea to let him go because I thought he was good for them with Kante and I think they need to strengthen. Chelsea have already acquired Tiemoue Bakayoko from Monaco for £40m, so have covered themselves in Matic’s area of the field. They only worked with three favoured options in that position last season, with N’Golo Kante and Cesc Fabregas still on their books.